First, right click on your desktop and select Personalize. 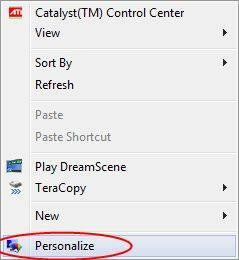 Alternatively, you can go to Control Panel -> Appearance and Personalization -> Personalization. 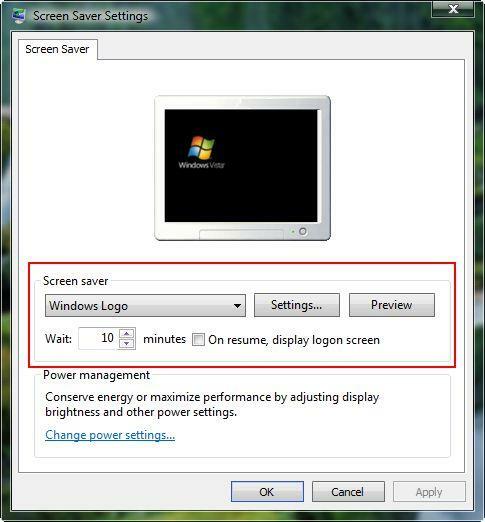 In Windows 10 to change the screensaver settings and to turn screen saver on/off you'll have to first click that little search icon in the bottom-left corner of your screen and then type: "Change screen saver" and push enter. 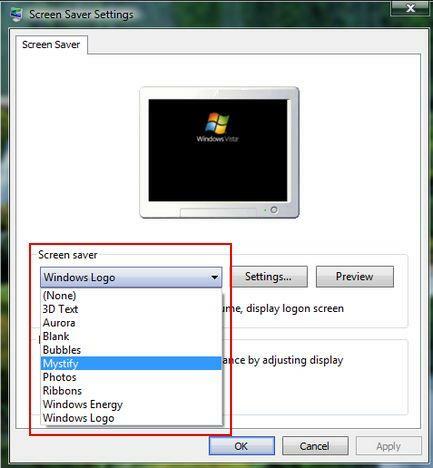 Now you can control your screen saver settings. From the list of available personalization options, click on Screen Saver. The Screen Saver window will now launch. 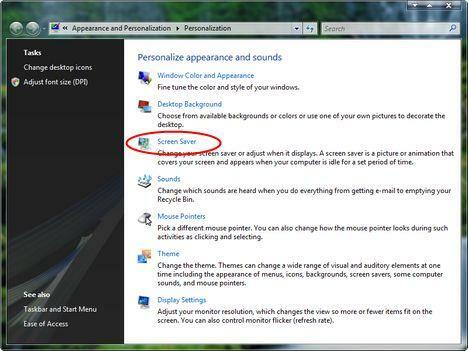 Here you can change the active screen saver and configure different parameters. To select another screen saver, scroll down the list highlighted below. When you make a selection, a preview will be shown inside the small monitor from the Screen Saver window. You can also preview it on your monitor. Just click on the Preview button and stop using the mouse and keyboard. 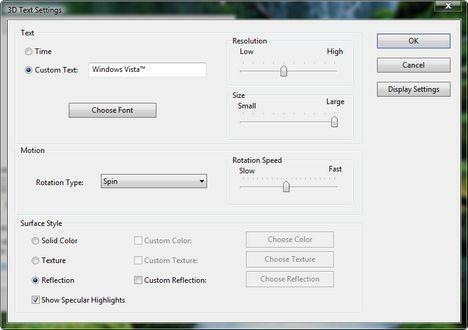 Once you have viewed the selected screen saver, start moving your mouse and you will return to the Screen Saver window. Some screen savers (such as '3D Text') have different parameters that can be changed. To configure them, click on the Settings button. A new window will appear in which you will find all the available configuration options. When you finished configuring it, click on OK.
After you have selected and configured (if possible) your screen saver, you can set the wait time after which it will be loaded. Type the desired number of minutes in the Wait text box. For more security, you can also check the box that says 'On resume, display logon screen'. When this box is checked, you will always have to type your password in order to return to the desktop. This helps avoid your PC being used by unauthorized people while you are away. "Photo" and "3D text". The others have no parameters that can be changed. I have selected a screen saver "ribbons" but it will not activate after the alloted minutes have passed. Is there something that should be turned on or off maybe in the background. It depends on the programs that are running on your PC. Some applications will not allow the screen saver to kick in when they are running. Everytime I restart my computer, I lose my screen saver settings. i.e. after shutting down for the night, and starting up the next morning, I don't have the screen saver switched on anymore - I have to go back into personalize and put it back on again. My screen saver will not work. What should I do? Do I have to load my OS!!?? My OS is Vista on a new HP laptop and it will not run either. I have tried changing it and closing all apps but it still never comes on - I am currently turning the monitor off manually when done. When I go to the Personalization Page, Screen Saver isn't even there for me to click on. It's just not there at all. There's a small space where it would have been. Is there a service I have to turn on or turn back on, because it wasn't always gone and now I don't know how to get it back. Is it really true there is no way to choose your own font size like you used to be able to. i have a problem i accessing my screen saver! when i right clik on my desktop and select personalize, the option of screen saver and change background doesnt come! if i try it through control panel i receive one message saying,"your system administrator has stopped launching of display setting controle panel" please give me a solution to this problem!!!! i'll b waiting! I've installed a few screensavers off of CNET.com. When they finish installing, it comes up with the screen saver settings window, with the screensaver I just downloaded, others that I have downloaded, and the default ones. I can preview all of my downloaded ones from here, but if I press OK and then wait for the screensaver to turn on, noting happens. And when I right click, select personalization, and press screensavers, it says the that I'm using is (None), and all of my downloaded ones do not appear on the list. Is there any way for me to make them work? I know for sure that they all downloaded properly. how can I make a shortcut to the "screen saver window"? My ribbons screensaver locks up after a short time. If a close the pop-up box that shows the error, things resume ok. If I click the option to diagnose the problem, the solution is to install Vista SP2 for x64 based systems. Is that really the answer??? The other curious thing about this is it only happens on the network at the place I work using this PC. When I use this PC at home on a friend's wireless network, it does not happen.